All users requests are included in this version. After having installed the update, go to iPhone Settings->iCallYou-> and you will be able to activate more options and choose different sound than default. 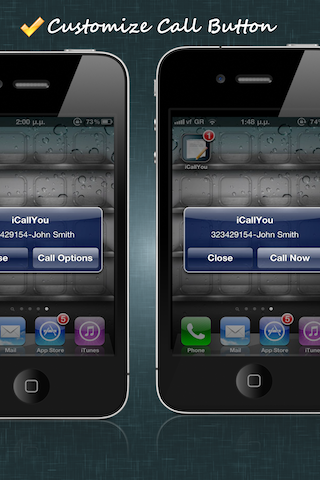 If you set "Activate call options" off, you will keep working with iCallYou as you did with previous version. 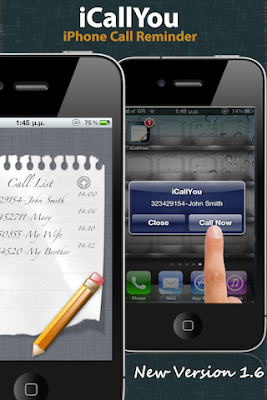 If you set "Activate call options on", you will be asked for: call now,snooze or save in history before making a call. 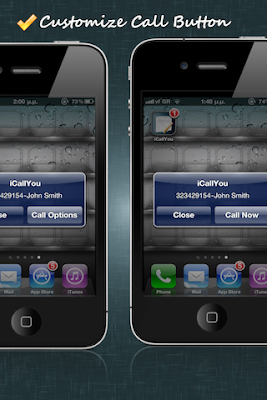 Remember that changes will take effect next time you use iCallYou. Furthermore, alert time appears in every saved call in call list.